I've had a few art works picked up for museum exhibitions and stuff, and the beautiful dance of watching professional art handlers work never gets old for me. So I shouldn't be surprised at how geeked out I get over PACIN, the Packing, Art handling & Crating Information Network, a Professional Interest Committee of AAM - the American Association of Museums created by and for Hands-On Collections Care Professionals? Did you know the Mercedes/Dodge Sprinter is becoming the high-performance, cost-effective art moving vehicle of choice among museums? 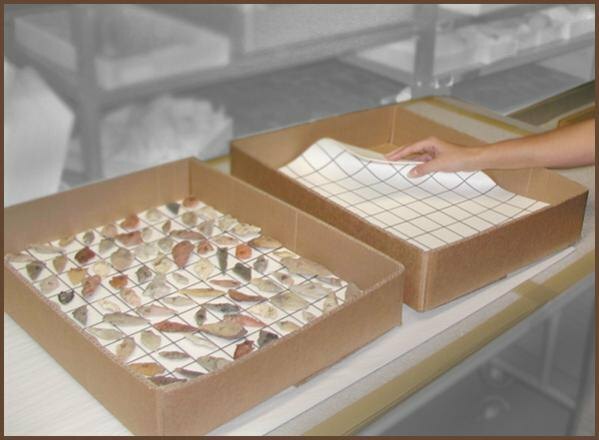 Or that The Grid is an excellent way for rapidly track&packing large numbers of small items? Or that The Wave, developed during the 2000-2004 move of 800,000 artifacts into the Smithsonian's Museum of the American Indian, provides as much protection as mummy-wrapping, but with far less material waste or individual item handling?